Five bills were introduced at Baltimore City Council's Monday night meeting to change the city charter. Five bills were introduced at Monday night’s Baltimore City Council meeting that would bring major changes to the city’s charter. WYPR’s Dominique Maria Bonessi spoke with Morning Edition Host Nathan Sterner about the changes. NATHAN: First let’s note that it was Mayor Catherine Pugh’s administration that has put forward these amendments, correct? DOMINIQUE: That’s correct, since January Pugh had a team to look over the charter and make significant changes to wording, her role as mayor, and other inner-government workings. The recommendations they came up with are now up for debate within city council. The mayor would like a review of the charter to happen every 10 years. These wide-sweeping recommendations haven’t been made in decades and according to senior city council members, are unprecedented. NATHAN: What are the first things that stand out about the revised charter and the report the team came up with? New wording was also seen for city council and the criteria for city district lines in which redistricting could be based on population rather than the existing lines. NATHAN: Another charter amendment would establish the office of the Inspector General, but didn’t District Two City Councilman Ryan Dorsey already put forward a similar amendment to make the OIG independent? DOMINIQUE: So the major differences between the two bills is Dorsey’s has a nine member team while the mayor’s plan has a three member team to help oversee the office. Dorsey’s plan would give the OIG 14 employees to work under the inspector general, while the mayor’s plan would not provide any additional funding to hire employees. The mayor’s plan would also create a deputy auditor to report any and all findings to the inspector general. NATHAN: Another amendment would make significant changes to the Board of Estimates. What do those look like? DOMINIQUE: The new amendments would allow a new way for contracts to be awarded by the city. Also, the city council would have the power to change the time frame in which contracts go before the Board of Estimates. DOMINIQUE: Finally, the amendment changes the way in which the public is notified of the board of estimates’s ordinances. It used to say, “a copy of ordinances must be published in two daily newspapers in Baltimore city,” and now it has been changed to, “in a manner that ensures adequate notice to the public.” That didn’t sit right with District 14 Councilwoman Mary Pat Clarke who thought that new wording was too broad. NATHAN: Where do these charter amendments go from here? DOMINIQUE: In the next few weeks the mayor’s team will be meeting with city council members to discuss and debate the amendments. And once city council votes on them, and the mayor signs off, residents can vote on these amendments in the general election in November. 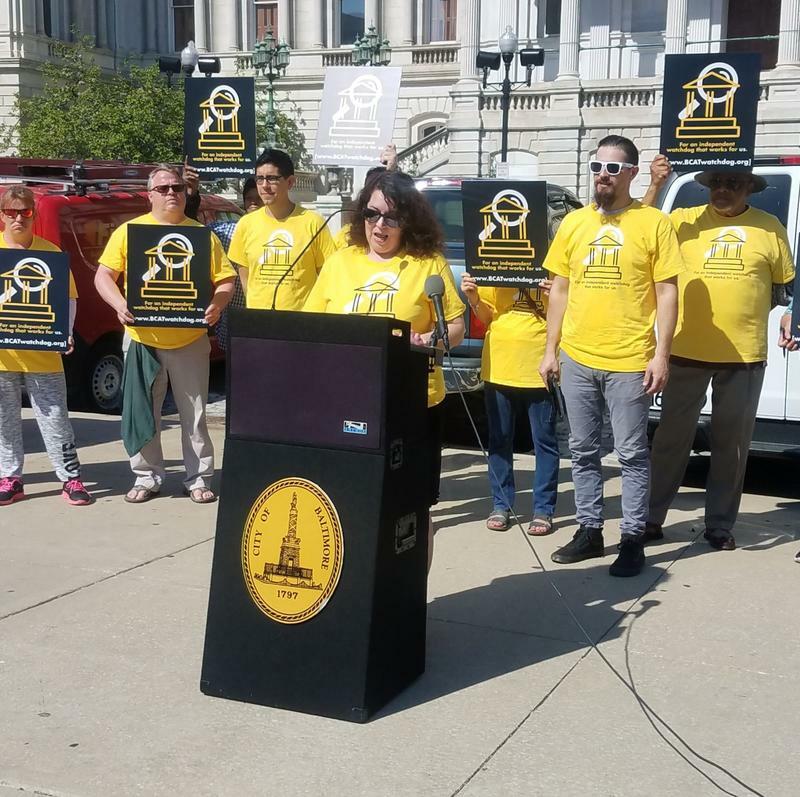 District Three City Councilman Ryan Dorsey and the Maryland Consumer Rights Coalition unveiled a charter amendment that calls for an independent inspector general Thursday. The group needs 15,000 signatures on a petition and approval from city council and the mayor’s office to get the amendment on the November ballot.